The only regrets I have about this musical career is how some artists were treated. Most of us are familiar with that catchy intro to the 1968 mega chartbuster Tighten Up, which reached number one on Billboard’s R&B, and Hot 100 charts. The song is also ranked #265 on Rolling Stone’s list of the 500 greatest songs of all time. Back in the day, there was even a dance called the Tighten Up which evolved from the song. Tighten Up is still popular in today’s music because it has been sampled so many times. Janet Jackson is one, to name a few, who has sampled the track which has also been dubbed in TV commercials. TV animated sitcom star Homer Simpson of The Simpsons fame has even done the Tighten Up. The co-creator of Tighten Up is Henderson, Texas native, Archie Bell who grew up in Houston. He first started singing when he was 5-years-old in the Baptist church his family attended. Archie’s mom Ruthie and dad Langston had seven boys, and she made sure all her sons were involved in church activities. Ruthie urged Archie to sing in church and always reminded him “to learn to sing from your soul.” In junior high school, Archie formed a singing group and began winning local talent shows. Archie once heard a comment by a radio station DJ that was made after the John F. Kennedy assassination in Dallas. He stated that “nothing good ever came out of Texas,” Archie wanted to prove this radio personality wrong because he was from Texas and he was good at his craft. In 1967, just before he was drafted to Vietnam, Archie and the Drells recorded Tighten Up and were backed by the T.S.U. Toronadoes, one of Houston’s hottest funk bands. During his army stint, Archie had an accident on the German autobahn and badly injured his leg. He was at a military hospital recuperating when he got wind of Tighten Up’s success. Ironically, Atlantic Records mistakenly placed Tighten Up on the B side of the record when it should have been on the A side. A New York City disc jockey decided to flip the record over to play Tighten Up, and the record just took off! Unfortunately, Archie was unable to profit from the record’s success immediately and spent time trying to convince his fellow GI’s that he had even recorded the tune. Two weeks later an article was released in an overseas military newspaper that referred to Archie as, ‘The richest GI in the military since Elvis!’ After the feature was published, Archie’s fellow GI’s no longer doubted his Tighten Up story. Tighten Up became an incredible mega-hit selling a whopping 200,000 copies in just two days in New York City alone! The record sold 12 million in its first year. Concert dates began pouring in for Archie and the Drells including requests for appearances on such celebrated dance shows as American Bandstand. The mostly instrumental cut eventually went gold, and the rest is history. Archie Bell and the Drells had several successful hits following their monster seller including, There’s Gonna Be a Showdown, I Can’t Stop Dancing, and Let’s Groove. The original Drells consisted of James Wise, Willie Parnell, L.C. Watson, and Cornelius Fuller. Personnel changes within the young aggregation eventually shook down to Bell, Wise, Billy Butler, and Joe Cross. The funky, soulful, make-you-want-to-move dance jams of Archie Bell and the Drells are unique. Archie and his group have worked with the legendary Philly music soul architects Kenneth Gamble and Leon Huff, co-founders of Philadelphia International Records. At the record label, Archie and the Drells were also introduced to the renowned singer/songwriting duo, Gene McFadden and John Whitehead of Ain’t No Stopping Us fame, who helped create the finger-popping, body-swaying 1976 hit, Let’s Groove. When the Drells broke up in 1980, Archie released a solo album the following year, I Never Had It So Good. The group subsequently reunited a few times a year to perform. On April 16, 2013, Houston, Texas Mayor Annise D. Parke honored Archie Bell, Lucious Larkins, and James Wise with a proclamation of Archie Bell and Drells Day. 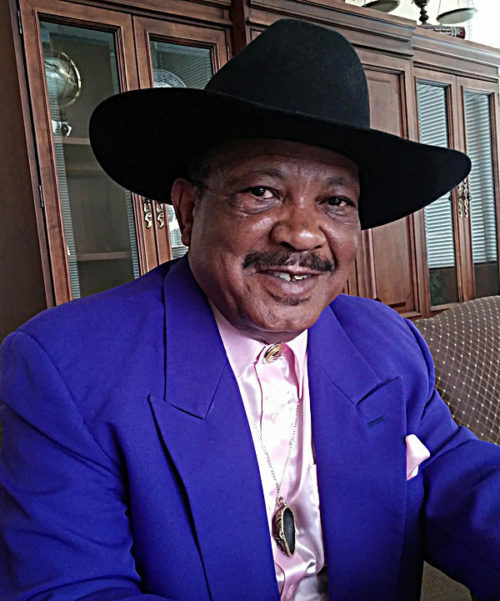 The soon-74-years-young Houston musical legend who has been married to his second wife Juanita for 37 years has five children and five grandkids. 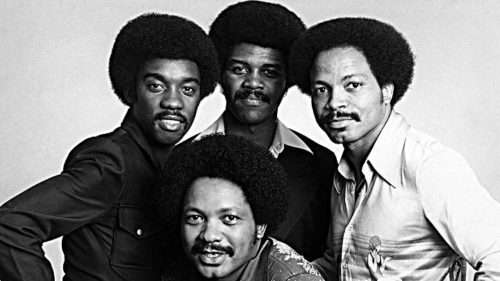 Just to be clear, Beyoncé was not the first to put Houston on the soulful musical map, in fact, it was the ever-enduring, still-got-the-grooves-and-moves, Archie Bell! The performer did not tighten up and instead, got loose with 50BOLD to discuss where he’s been and where he’s headed next. 50BOLD: Is it Tighten Up your favorite song? 50BOLD: You have a birthday coming up? Archie: On September 1, I will be 74. Thankfully, I feel great! After all these years, I’m amazed that I’m still working! I know a lot of people who never made it out of their 50’s. Archie: I feel like I’m a blessed person and still here to tell a story. 50BOLD: That’s so wonderful! Do you get together with the Drells? Archie: We’ve gotten together over the last few years for reunions about five or six times a year. Everyone in the group has kind of mellowed out. In 2013, the city of Houston proclaimed April 16th as Archie Bell and the Drells Day which is such an honor. The guys and I do try to keep in touch with one another. Even though two of the group members live in Atlanta, Georgia, we do try to get together as often as we can. 50BOLD: I noticed on Facebook that you perform with a group called Embers? Archie: Yes, Embers is a group out of North Carolina. We recorded a song together called Beach Vacation that is available on Amazon. I also recorded a song called Archie Bell, There is Going to be a Showdown, Again. 50BOLD: Mr. Bell, how many weeks a year do you perform now? Archie: I perform about two or three days a month, sometimes four and oftentimes on weekends. I perform a lot for corporations and large concerts with a long line-up of talent. 50BOLD: Do you think there will ever be great R&B music again, or has this electronic age ruined it permanently? Archie: Technological advances like Auto-tunes has damaged R&B, but thankfully, there’s still an undercurrent of good solid R&B left. Most of the people who recorded those memorable R&B tunes are too old to work or sadly, they have passed on. I do believe that R&B is not gone forever and will have its shining moment again. Archie: R&B will always be present because you can’t erase history and because there is a fan base for it. 50BOLD: Exactly! I agree. Personally, I don’t like today’s music at all. Archie: Anyone can work on a computer to create music, and most of the stuff has no real significance or meaning. 50BOLD: You’ve collaborated with many artists. Who would you like to work with now? Archie: I enjoy working with vocalists like Charlie Wilson formerly of The Gap Band. He is a classic and contemporary artist. I’ve also been working on projects with a lot of different performers. I do want to say that the young people today want to generate a whole different genre. Everything that is old they want to throw away. I think, however, the music that we do will be around forever. Over in Great Britain, so many of the kids know their music history. They know about artists like Muddy Waters and all those musical artists who preceded us. Here in America, these young talents think they are IT! 50BOLD: Besides Tighten Up, I really like the song, Let’s Groove, how did that cut come about? Archie: We were on the Philadelphia International label. McFadden and Whitehead were the ones who penned the song. Bunny Sigler also produced a lot of stuff for us. Phil Terry who was a member of The Intruders wrote a lot of material for our group as well. When we first started we were on the Atlantic label. R&B pioneers Kenny Gamble and Leon Huff produced the I Can’t Stop Dancing and There’s Going to Be a Showdown albums. I wrote Girl You’re Too Young with Leon Huff and producer/songwriter, Thom Bell. 50BOLD: Mr. Bell you have said that your influences were by such legendary performers as Jackie Wilson, Sam Cooke, Count Basie, Duke Ellington and even Cab Calloway. Did you admire the performer’s charisma, dynamism on stage? Archie: Yes, absolutely! I’ve always liked Count Basie and Duke Ellington, the big bands because they so truly represented show business. Cab Calloway was one of my favorites. When I was about 17, I went to a show and Jackie Wilson and Sam Cooke were performing. Sam Cooke appeared on stage he was given no introduction, and yet, he mesmerized the audience, no one moved or made a sound. When Jackie Wilson walked out onto the stage, it was as if the women in the audience had been shot down by machine guns! The venue had ambulances lined up with oxygen tanks for his swooning fans. All Jackie had to do was walk out on stage, he didn’t even have to start singing and women would just faint. I thought to myself, “Damn, I don’t know how I’m going to get where Jackie is, but performing is what I’m going to definitely be doing for the rest of my life!” I was a young man daydreaming at the time, but it really happened to me. 50BOLD: Do you have any regrets about your long musical career? Archie: The only regrets I have about this musical career is how some artists were treated. Most of the people I know were robbed by the industry. I’m still fighting to this very day to receive residuals for the work that I’ve done! Entertainment is a cut-throat industry, it is definitely not for the weak! 50BOLD: What are you still fighting for exactly? Archie: I am fighting the record company. I’d call and ask how many units did we sell this year and get a response like… “Oh, you sold about two or three hundred thousand.” In actuality the quoted two or three hundred thousand is more like two or three million! The deceit is real and difficult to prove! 50BOLD: What is left to do on your bucket list? Archie: I try to mentor young people who want to be musical artists. I am producing a lot of them. All of the projects that I am working on now will hopefully result in benefits that my family can reap. 50BOLD: Mr. Bell, what motto do you live by? Archie: I live by the Golden Rule…Do unto others as you would as you would have them do unto you. I also believe in being true to yourself. If you are not true to yourself, you are definitely going to get lost in the shuffle. You have got to treat people the way you want to be treated because all of your negativity will come to get you in the end. 50BOLD: What advice would you offer to aspiring singers? Archie: I would tell young aspiring performers to make sure that entertainment is what they really want to get into. You have to be wholeheartedly dedicated to this career and then find the right people to represent and guide you. Surround yourself with people who believe in what you are doing. Some people befriend you because they’re lured by the money you’re making, then they turn on you; this happened to me. After records become smashes, money pours in, folks get greedy, stuff starts brewing, situations go south which is what broke up Philly International and many other companies. There is a lot of backstabbing in entertainment! 50BOLD: Wow, what an unfortunate situation! What is your most treasured possession? Archie: My talent is my most-prized possession it’s the only thing I have that no one can take away from me. Archie: Records don’t mean a thing if you don’t know how to entertain people. I know plenty of folks who have had hit records but when it came time to performing, and keeping their fans interested, they just could not get the job done. Entertaining is something I learned how to do by watching a lot of people like Sammy Davis, Jr., Duke Ellington, and Count Basie. Cab Calloway is a good example of a complete showman. So I would like to be remembered as a good entertainer. 50BOLD: Are you still performing? 50BOLD: I read where you are working on Gospel and Country music? Archie: I am working on Christian and Gospel music and doing so was on my bucket list. My roots are in gospel music. I grew up here listening to Hank Williams, Jim Reeves before we had Black radio here in Houston. I listened to country music and would oftentimes, ride around with my grandfather who would play those old country songs on his car radio. We didn’t have Black music on radio stations once-upon-a-time. 50BOLD: Mr. Bell, you are not only a talented singer but an amazing entertainer.